The use of Android phone has become pretty much common with every second person is seen busy on an Android device. There is no doubt that the world of Android is full of amazing apps and features that engage the user in every possible way. In Android phones, Google Play is a treasure for almost every Android users where he or she can explore a range of apps and games. But sometimes, they find it updating the apps automatically. Though there is no downside of it, users with limited data pack may find their data balance exhausting very soon. This is certainly not feasible for a large number of users worldwide. If you’re looking for a way out, you can get to know about the same right here in this article. So, let’s check out how you can stop Google Play from updating the apps automatically. In general, the installed apps on your device will update automatically basis the available updates. (Known as auto-update apps). The primary purpose behind this is to improvise their performance on your tablet or smartphone. Generally, this is a nice thing, but it may sometimes slow down your phone, consume your mobile data and stop you from doing other things with your device. Because of which, manually updating apps seems to be more practical. Open the Google Play app and jump on the navigation drawer. Then navigate to Settings. After this, tap Auto-update apps. You’ll get three options – Do not auto-update apps, Auto-update apps at any time. Data charges may apply, and Auto-update apps over Wi-Fi only. Pick the first one. This simply means that you will have to manually update all apps from now onwards. If you still want apps to update automatically, just not on your data connection, choose Auto-update apps over Wi-Fi only. Now let’s see how you can update your apps manually using Google Play. 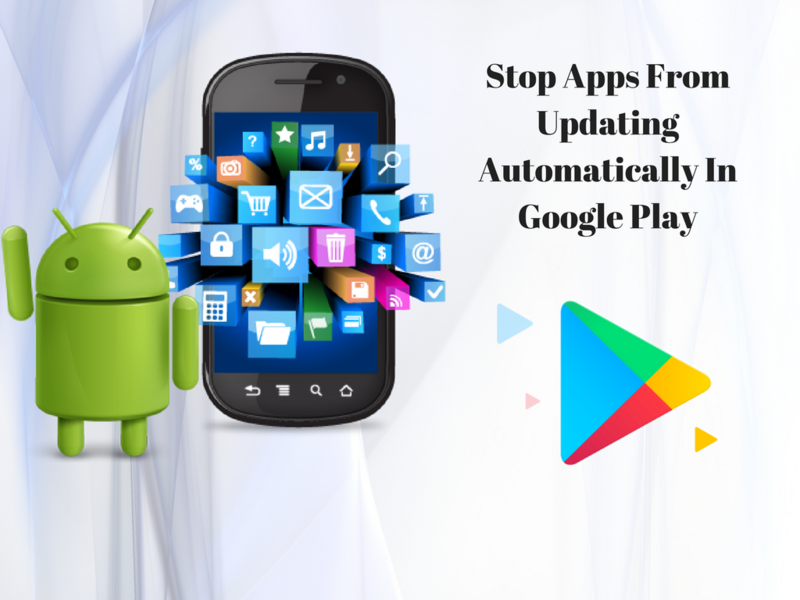 If you’ve changed the settings of Google Play to prevent it from updating your apps automatically, you can update them manually. To manually update an app, navigate to My apps in Google Play, and open the navigation drawer and choose it (from under the main Apps & games category). You’ll get a tab view of the apps – the existing ones installed on your device and master list of every app you’ve ever downloaded.Further, there would be apps categorised into sections: Updates, Recently updated and Up-to-date. Apps with updates available are listed at the top. You can choose to install them one at a time or all of them with the Update All button at the top. Going the manual way to update your apps is certainly beneficial and saves both resources and data. If you’re aware of any other way of updating your Android apps, do share your views in the comments below.